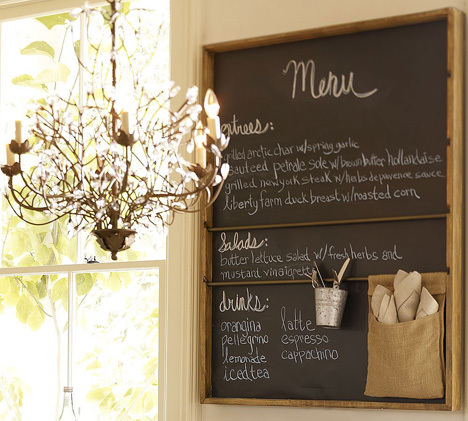 In the new year I am finally going to be working on my kitchen and one of the things I've toyed with doing is creating a chalkboard wall or some sort of chalkboard accent. 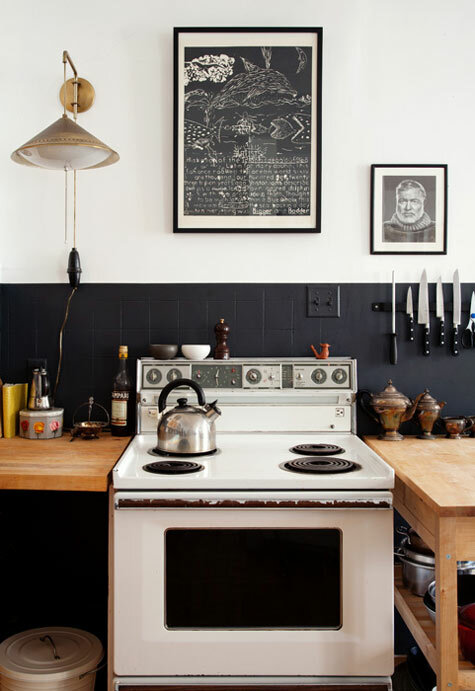 Doing a little research, I found these great examples of what others have done in their own kitchens. 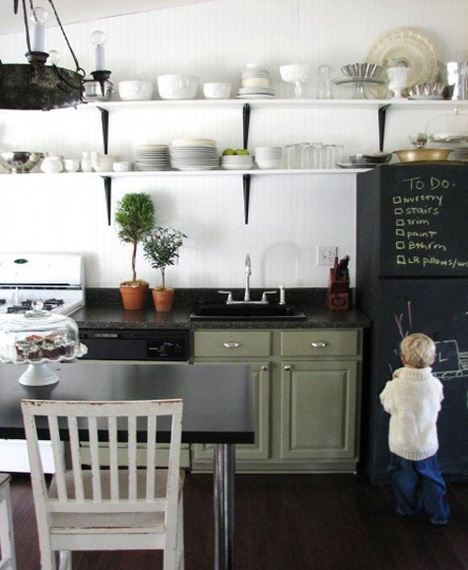 Some are a little more involved than others, and I'm not sure if I am willing to paint an entire wall, but it is a good way to visualize what it would look like without actually doing it. 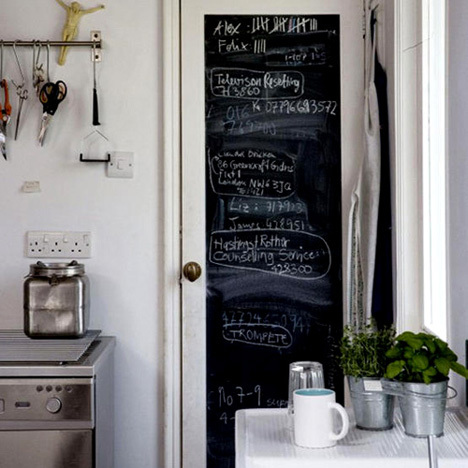 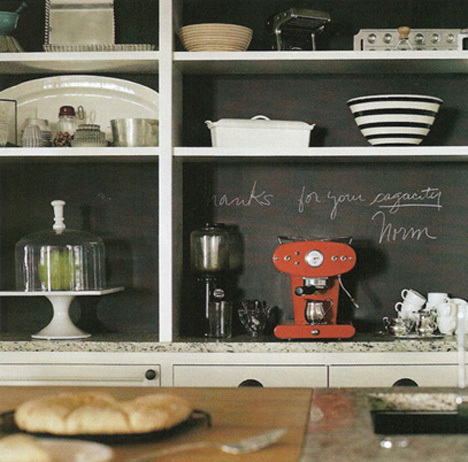 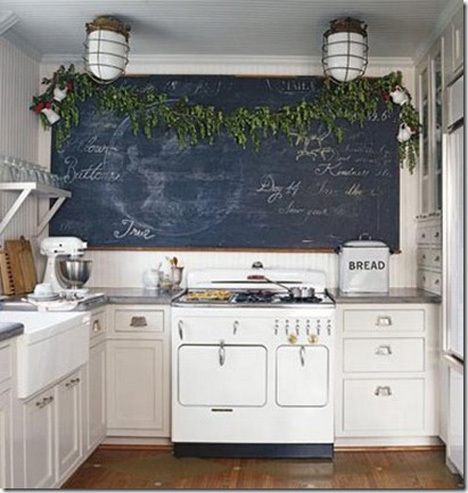 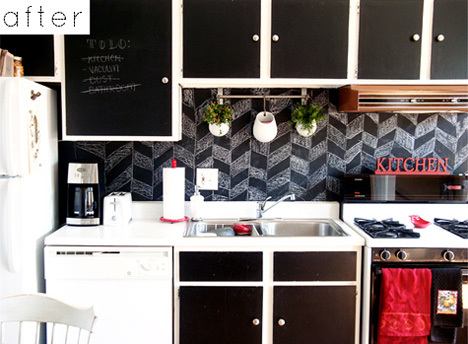 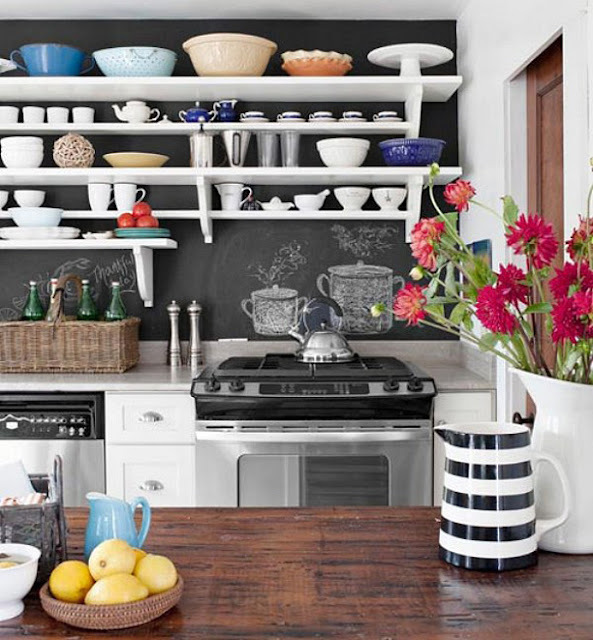 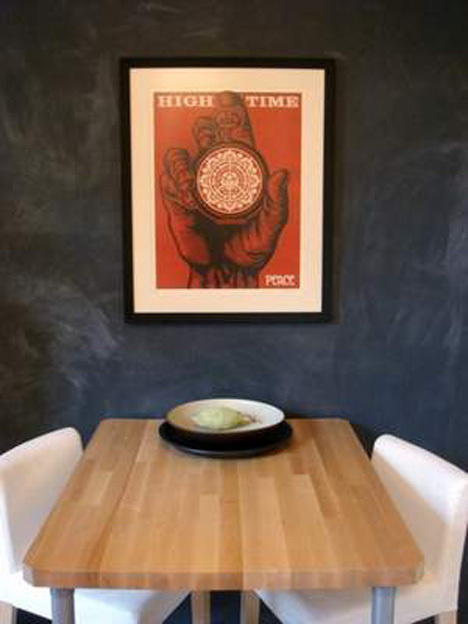 What about your experiences with chalkboard paint? 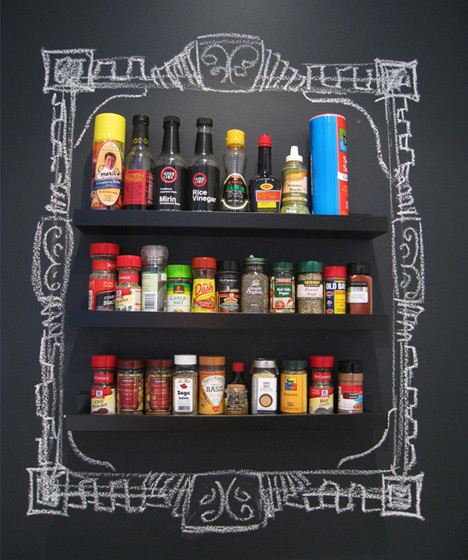 I would love to hear about your own work with this type of paint or send me a picture of your finished projects.